SINGAPORE, March 13th, 2017– According to IDC’s 2016 Global IoT Decision Maker Survey, governments in Asia Pacific are notably vested in the Internet of Things (IoT) technologies because it enables a broad new range of citizen services. Based on the survey, 40% of Asia/ Pacific Government organizations are investing on IoT solutions in the next 12 months while 50% of them are investing in an IoT solution in next 12-24 months slated this 2017. “Improving productivity, improving time to market for products/services and improving energy efficiency reducing costs are the top benefits of an IoT solution. 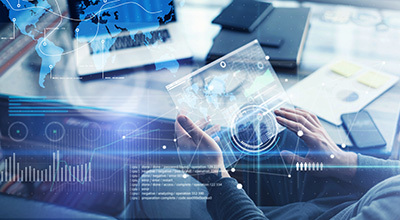 IoT enables access to new and granular data sources, empowered by swift connectivity and quick data gathering capability giving access to a wider range of information that enhances the quality of government services at a scale, which previously has been thought to be unattainable,” says Shreyashi Pal, Market Analyst, IDC Asia/ Pacific Government and Education Insights. This eventually impacts every single stakeholder of government eServices — citizens, visitors, and business owners who interact with government entities and their provided services. "Year 2016 has seen a significant change in terms of vendors leading the IoT market. The prominent IT vendors prevalent in hardware, software and network solutions equipped with an integrated cloud and analytics solution are most likely to lead the Internet of Things market. IT hardware vendors as the top players,” says Gerald Wang, Head, IDC Asia/Pacific Government and Education Insights. “Overall, enterprises in the AP region largely see hardware vendors as the clear frontrunners, but some regional differences are apparent when examining other leading suppliers in the IoT ecosystem. We also note that for many enterprises in AP region, networking equipment vendors and systems integrators feature prominently as potential leaders while traditional IT hardware vendors are becoming the leading network equipment vendors in the IoT market,” adds Wang. • With the rapid urbanization across the world, Asia is expected to have 21 out of 37 safe megacities of the world hence 50% of AP government organizations plan to deploy security systems in the AP region while 48% plan to deploy people tracking devices. • Approximately 62% of the AP companies consider IoT to create a strategic impact to their organizations whereas 25% of the AP companies considers IoT to create a transformational impact in their organizations. 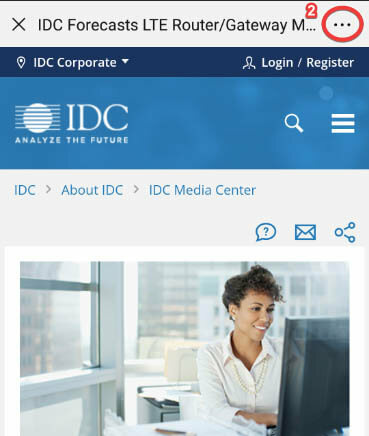 IDC's Global IoT Decision Maker Survey was conducted in July and August 2016 and includes over 4,500 respondents from more than 25 countries worldwide, spanning a wide array of industries (including manufacturing, retail, utilities, government, health, and finance). This study presents a regional analysis of the results which includes 196 respondents in Asia Pacific region from government vertical which includes 9 countries in total. The purpose of the survey is to gain insights from enterprise IT and business decision makers about their perception of IoT as well as their early deployments or plans for deployment of IoT solutions. Topics covered in the survey include: levels of enterprise awareness of IoT; deployment plans; IoT adoption drivers and inhibitors; perceptions of IoT vendors and vendor selection criteria; organizational factors; and security, cloud, and analytics requirements. For more information on obtaining this report, please contact, Gerald Wang at gwang@idc.com or Shreyashi Pal at spal@idc.com. 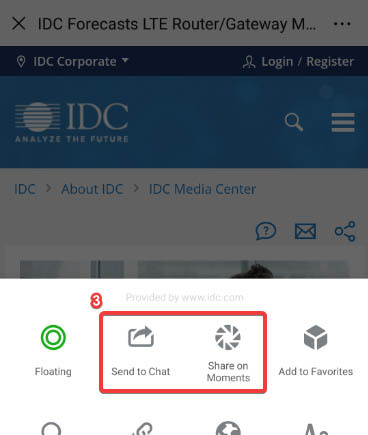 For media inquiries or to set up an interview with the analyst please contact Tessa Rago trago@idc.com or Alvin Afuang aafuang@idc.com.